I experienced my first protest this weekend and am thankful for the opportunity to participate in something so very American. I know it might seem strange that someone who is almost 40, opinionated, and previously worked in politics has waited so long to participate in a public event of this type, but the truth is, I didn’t have a good enough excuse until now. Having experienced workplace harassment at the hands of co-workers and legislators that I worked for, a very public termination and court case, I was fed up with our so-called leaders at the Iowa Statehouse. The Iowa Senate Majority Leader that fired me doesn’t live in Des Moines and has conveniently ignored the happenings in Des Moines, and how his destructive legislative agenda is hurting Iowans for too long. I jumped at the chance to engage with a group of Iowans who were also fed up with GOP Majority Republicans. The protesting I engaged in was America at it’s finest. 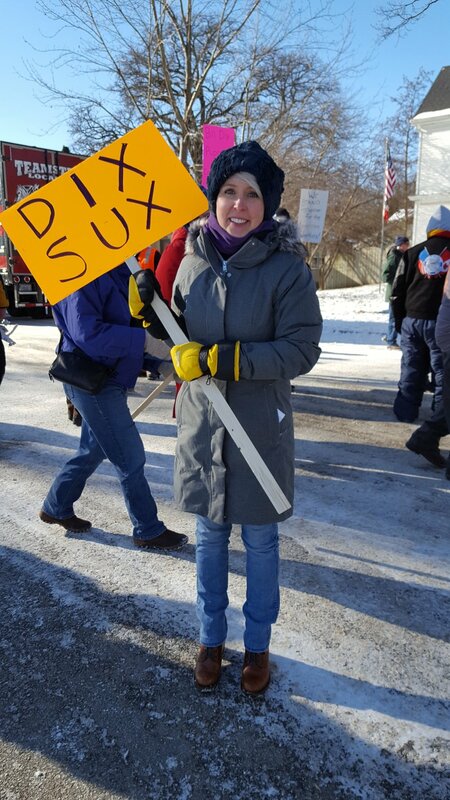 About 100 people braved the cold to protest a politician who has purposefully taken something away from them – part of their livelihood, decency, healthcare, and their power of choice. It was energizing to be among such a diverse group that all has something in common. To sum up, it was Iowa Nice. Everyone was respectful and caring and only wanted to have their voice heard. After some energizing words, the group traveled a few blocks to the Community Center to warm up, have some chili, and get to know each other. 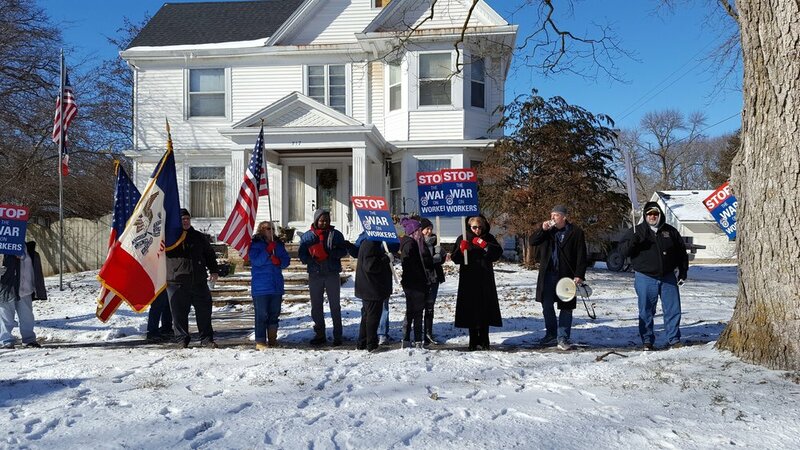 I was able to talk to amazing Iowans who are proud of where they come from, proud to do hard-day’s work, and mad that Sen. Bill Dix continues to take away worker’s rights and bully Iowans out of their livelihood. I’d protest again in a heartbeat and can’t believe it’s taken me so long to exercise my right to free speech. I’m so blessed to live in a country that honors that right. Here's the media coverage on the event. Teamsters from Iowa City traveled to Shell Rock to have their voice be heard.